In the workplace, individuals are constantly searching for their most valuable asset. It’s about finding that push, the drive – confidence. Confidence gives even the most insecure the tools to succeed. It helps give purpose and guide one’s self to the desired goals. 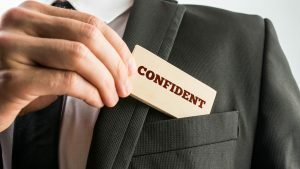 For executives, finding the right amount of confidence can be difficult at times: constant travel, meeting after meeting, troublesome projects, etc. Being able to grasp onto solutions can be even harder with a schedule like that. That’s where Hypnosis for Confidence can ease your executive mind. What Exactly Is Hypnosis for Confidence? While successfully overcoming challenges can greatly increase our confidence, some of the same influences can also create doubt in our minds. By addressing the causes of a lack of confidence and self-assuredness in the subconscious mind, where these negative influences live, Hypnosis for Confidence can offer dynamic results. 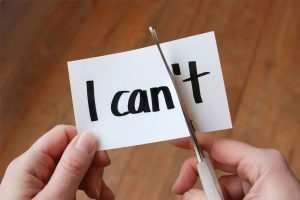 Hypnosis for Confidence provides quick and effective results because it addresses the negative “self-talk” and doubts that often make their way into our mind from daily interactions and personal relationships. To increase confidence, positive suggestions are given to the client during hypnosis, allowing them to feel more confident in setting and attaining goals. Using Hypnosis for Confidence and increasing performance is widely accepted across the globe as a valid form of mental conditioning. It is known for providing true results and is used by many top performing athletic, collegiate and professional programs. While often not reflected accurately on television shows, hypnosis never requires surrendering your morals, good judgment or conscious mind to accomplish the goals you communicate to your hypnotherapist. Stress is a relentless force – workplace stress is no exception. We stress and we stress, and it piles up after a while. When you’re at work, the stress seems to amplify. Being able to strap in and look at the stress head on is the only way to defeat it. However, stressors can come at you from all angles. That’s why Hypnosis for Confidence Professionals want you to know what to look for. Perfectionism – Spending time on every little detail is rewarding in the moment, but other tasks can fall behind. While the perfect execution and presentation may be your goal, it can only bring about less confidence. Disengagement – Certain jobs and tasks can become redundant no matter the nature of the job. That can lead to you feeling robotic. Then you simply disengage from your day-to-day which only leads to discontent and lowered confidence. Fear of Failure – No matter the level of work, failure is a heavy hitting confidence killer. If you’re worried about a top-level presentation or that you’ll say the wrong thing in an executive meeting, that’s only going to leave any confidence you have in the shadows. Hypnosis for Confidence wants you to erase the fear of failure from your thoughts. While Hypnosis for Confidence is there to help increase your performance and take down mental barriers, there are other tools to consider along the way. Everyone deals with their own unique obstacles and being confident in your solutions will only better your overall confidence levels. Everyone Makes Mistakes – Most everyone starts at the bottom. As an executive, “rookie” mistakes are never an option. However, mistakes are bound to happen no matter the level of management. Accepting that you’ve made a mistake and moving forward only increases your confidence. Ask For Feedback – As an executive, feedback can be hard to obtain genuinely. Entrust your work to your peers and allow them to speak openly so you can get a better grasp on what’s holding you, or the team, back. Access Your Competencies – In those times of little confidence, it can be hard to remember what you’re capable of and have always done. “Taking note of your key skills can serve as a reminder”, says Hypnosis for Confidence professionals. Writing down broader terms can also serve as weekly goals to achieve. Boost Others Confidence – It can be hard to help others be confident when you yourself are struggling. However, if you take the time to push others to their potential then they can do the same. It also helps you find any blind spots that you and your coworkers may have that your lack of confidence may hide. Beating workplace bummers can be a hard process. Why not make it easier on yourself by controlling the situation with Hypnosis for Confidence? The Hypnosis For Confidence treatment with Hypnotherapy of North Georgia may be your best solution for keeping a calm mind before, during and after leaving the office. Contact Us or call us 678-336-1705 to schedule your consultation today so you can have more stress-free, confident work days with Hypnosis For Confidence. We want you to only be focused on how your killing your to-do lists!